Large Culdesac Lot. 3 car side entry garage!! 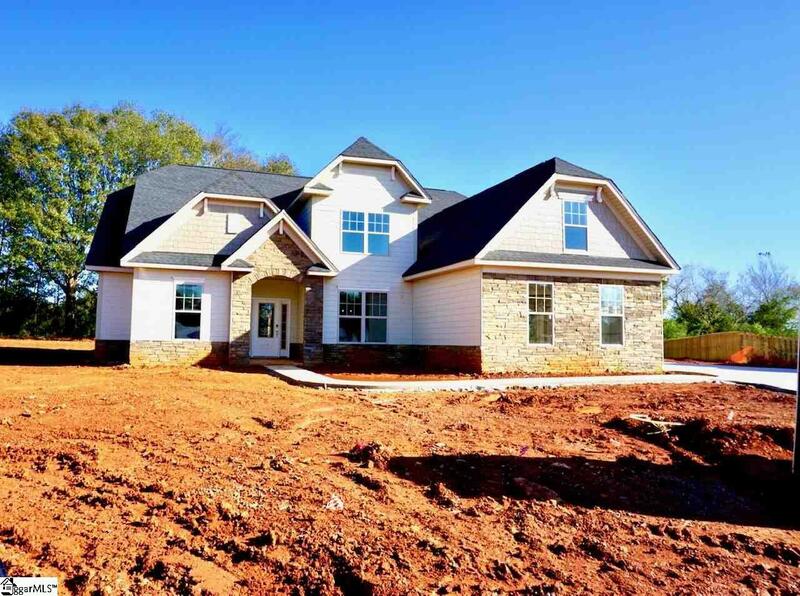 1/2 ACRE HOMESITES in the highly sought after Five Forks area!! When you enter the Winchester, the dramatic two story barrel arch draws your eyes through the long, wide foyer to the family room. The dining room at the front of the home is bathed in natural light from the large windows. As you enter the family room, the coffered ceilings will impress you until you are wowed by the beautiful kitchen with a large center island that overlooks the great room. Its a split design with the owners suite on one side and two other bedrooms and a bathroom on the other. The second level welcomes you with a large media room, study and an additional bedroom and full bathroom...it's a great space for guests or when your kids come home from college!! Parker's Landing is a gorgeous community located in Upstate South Carolina. The community features a beautiful pond and just minutes from tons of shopping and dining. Parker's Landing is perfect for the on-the-go lifestyle. Homeowners can enjoy the communitys natural beauty and peacefulness all within an award-winning school district.